Prince William and Catherine, Duchess of Cambridge will get a taste of the Old West when they visit North America next month ? even if the cattle stampede they'll witness will be in Calgary, Canada. Plans for the royal couple's 11-day tour were announced Monday, and, among the sights they'll see, the two will experience "the diversity, vibrancy of Canada, its geography and people," says a source at St. James's Palace. The full schedule will not be available until mid-June, those close to them already call the trip a "most significant moment, because it's their first royal tour." The Canadian leg of their visit is set as follows: ? July 8, they fly to Los Angeles, though interaction with the stars is being downplayed. "The couple view this as a working visit, not as an opportunity for them to meet celebrities," the palace source says. They'll be promoting Britain through "the prism of their own interests." While some press reports say the duchess will require at least 40 different outfit changes en route, the only thing one aide would say about the expanse of their trip is, "They want to keep their entourage to a minimum." Seasoned royal writer Judy Wade, a veteran of many tours with the Windsors, says, "Kate is aware of the recession and cutbacks that people are facing, and will not want to be seen to be extravagant, but she is realizing that you cannot be in the public eye and be a fully-fledged royal without help with a dresser or someone like that." 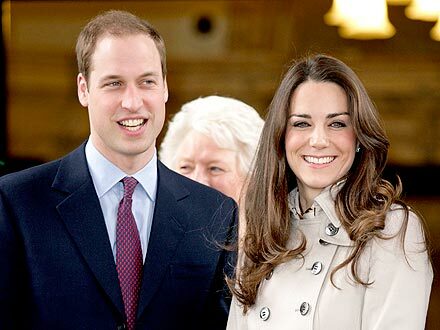 William, 28, wants to "get to know Canada better," says a source, while Kate, 29, will be making her first visit there. Still, "Canada is very much part of her family's story," says the source. Her grandfather, Peter Middleton, was stationed there during World War II, serving as a trainee bomber pilot near Calgary.